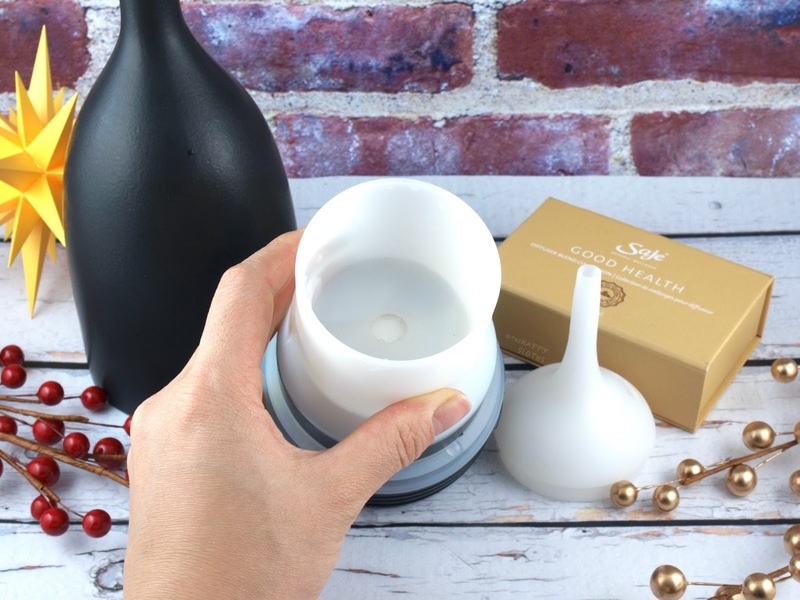 Made with a modern and sleek ceramic cover, this is an electronic diffuser that uses ultrasonic pulses to produce a purifying vapor of water and essential oils. With a 100ml water tank, the device is suitable for medium-sized rooms ranging from 200 to 400 square feet. AromaOm has a very simple control panel consisting of two buttons, one for turning on and off the light and the other for controlling the mist. There are two misting options, one for continuous misting, which lasts about three to four hours, and the other for intermittent misting (30 seconds on and 30 seconds off), which lasts for six hours. The light feature is powered by a white LED that's soft enough to be used as a nightlight. To use, simply fill the water tank with water alone or water with a few drops of your favorite essential oil blend. Turn on the device and watch as the ultra-fine mist flows from the top of the spout. Not only will the AromaOm humidify and purify the air, it vaporizes the essential oil into miniscule particles, which adds a beautiful aroma to the ambiance. If you are new to diffusers, this device is an excellent start. Although slightly pricey as compared to market competitors, the AromaOm is beautifully designed and very well made. The ultrasonic action is quiet while the machine produces a robust, steady stream of mist. I've owned the AromaOm Deluxe model (reviewed here) for about two years now and it's still working like a champ. Therefore, I have full confidence in quality and longevity of Saje products. 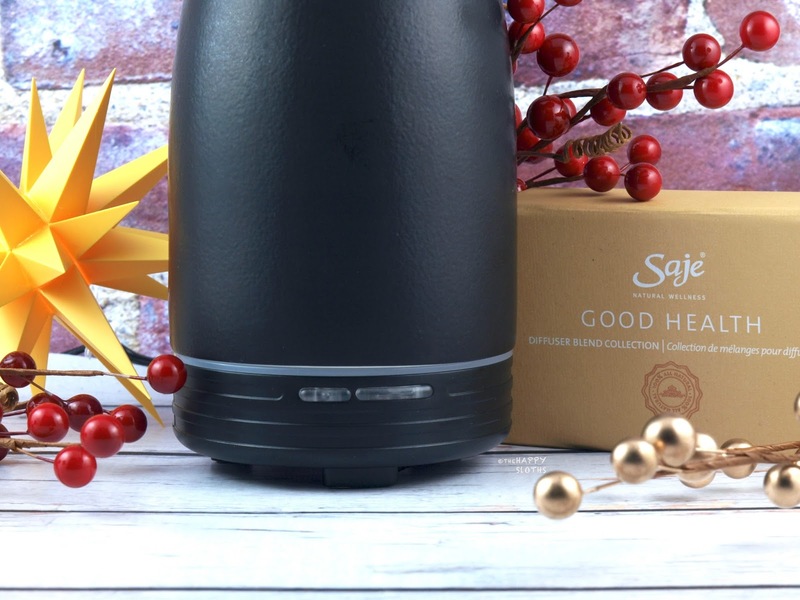 In addition to its line of gorgeous diffuser machines, Saje also offers a plethora of essential oil blends designed for use with their diffusers. Here I have the classic Good Health Collection, made with 100% pure essential oils. This is a four-piece sampler set that includes 5ml bottles of Immune, Stress Releases, Tranquility, and Liquid Sunshine. Immune is made with eucalyptus, myrtle, pine, and lemon while Stress Release is made with lavender, orange, chamomile, and sage. Tranquility is made with neroli, lavender, marjoram, and ylang-ylang while Liquid Sunshine is made with grapefruit, bergamot, neroli, and lime. All four are popular blends from Saje so you really can't go wrong with this set. Have you tried any products from Saje? 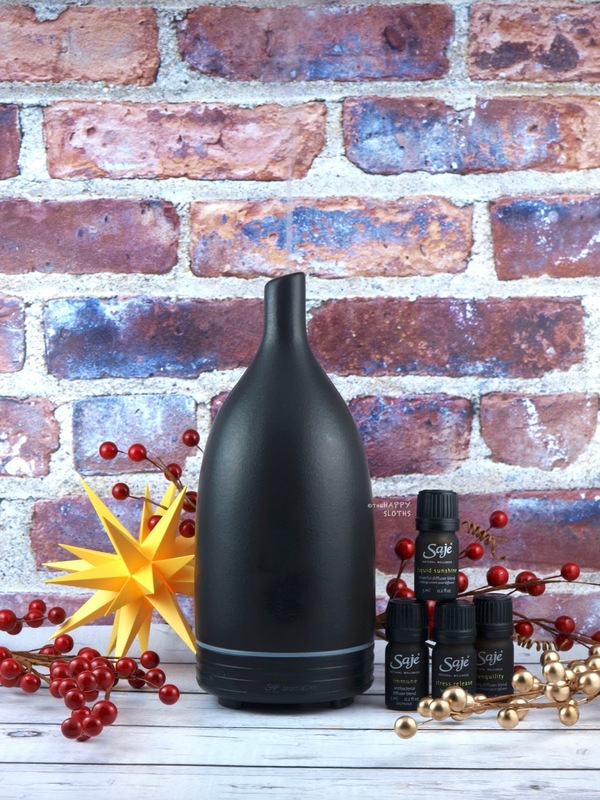 Do you use a diffuser at home? Share with me in the comments below! Saje is available online and in stores at Saje Boutiques.